1. It’s All About the Economy… Lower cost of living translates to lower costs of doing business. Regional Financial Associates (RFA) Inc. ranked South Dakota as the LOWEST cost state to do business. 2. It’s all about FUN… Rated by National Geographic’s Adventure Magazine as one of the “Top 50 Best Places” to Live and Play and only one of 8 cities selected as a “Hot Spot” in America, Spearfish continues to be a destination for visitors and new residents alike. 3. Put “NO” in Taxes… Imagine,,, a tax structure built around the word “NO”: NO state personal income tax, NO corporate income tax, NO personal property tax, and NO business inventory tax. You see, in Spearfish, SD profit is not a dirty word — it’s a reward and why not keep it. 4. Entrepreneurial Friendliness… As reported by the Milkin Institute (2013), South Dakota is ranked #1 as the lowest cost state to do business. Also rank #1 “Environment for Entrepreneurs” by Small Business Survival Foundation (2010). 5. Award Winning Education… With a university producing highly-qualified graduates and an award-winning public education system, we continue to meet labor and training requirements of new and expanding businesses. Ranked #1 in the United States with the most Internet-Connected Students. 6. Sweetening the Pot… Our pro-business local, county and state governments offer several direct financial assistance programs and training incentives. 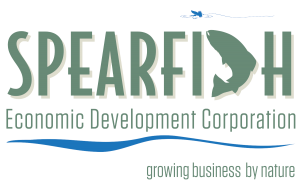 7. Business Infrastructure… Spearfish owns and manages a fully developed professional business/industrial park served by a state-of -the art fiber optic telecommunications network. 8. Low Employment Costs… Spearfish businesses enjoy some of the lowest cost worker’s comp rates and unemployment insurance costs in the nation. Expansion Management Magazine recently rated our area as having the lowest unemployment insurance rates in the nation. 9. Low Union Activity… Less than 1% of our labor force is involved in a union. 10. Labor, Labor, Labor… Although most areas boost about their available labor supply, few can prove it. As a regional trade center with the state’s 3rd largest university, Spearfish businesses are supported by one of the region’s largest labor markets.